September 12 – 25 Light of the Path – registration is now open! After you have discovered that they are most precious, Nagarjuna explains that you then think, “I myself am like a wish-granting jewel, fulfilling all the wishes of sentient beings.” … You think, “… And may I become like a wish-granting tree that fulfills all their wishes.” You yourself become like a wish-granting jewel and a wish-granting tree for sentient beings, fulfilling all their wishes for happiness. … This attitude should be there as much as possible in your daily life. When you remember how each sentient being is most precious and most kind, you naturally respect them, and you talk very nicely, very kindly, to them. Your heart cherishes that being the most, and the way you behave toward them is respectful …. 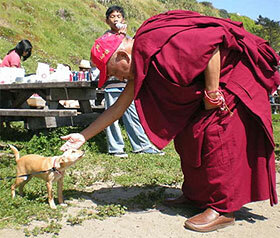 … Whatever help, however small, you give an animal or person with this good heart is an offering to all the buddhas. It’s the best offering to all the buddhas and bodhisattvas … Why? Because this sentient being, even if it’s an insect, is what the numberless buddhas and bodhisattvas cherish the most; this is what they hold in their hearts … Day and night the numberless bodhisattvas pray for this being. They work, dedicate their merits and try to achieve all the realizations, including enlightenment, for this sentient being. Any harm to a sentient being is a great harm to me. Any benefit to a sentient being is a supreme benefit to me. 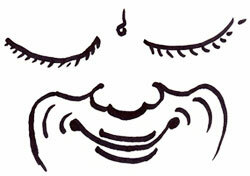 I and sentient beings are equal in happiness and suffering. And I have achieved the rupakaya for the benefit of sentient beings. … When you remember that, you naturally do everything you can, great or small, to help sentient beings. You treat every sentient being, every human being and even every insect, in the best way. You must do this practice, especially if you’re working or dealing with people in everyday life but even if you’re living alone and not working in any organization. You must remember to do this practice. This is a key practice, especially in a Dharma organization. Working in a Dharma center means being kind to everybody. You don’t have to be rude. It’s not that you can give everybody what they need. You can’t perform magic and give a billion dollars to everybody. However, even if you can give only limited help, at least the way you behave and the way you talk to people should be very respectful and very kind. You shouldn’t get upset with people, and other people will see and appreciate that. Even if you can’t help someone, the way you explain that you can’t help them should at least be respectful. … Also, a Dharma organization has to set an example. It should be an inspiration to others to practice Dharma, to practice the good heart. Whether you’re an old student or a new student who doesn’t know much about Dharma, you should be an inspiring example so that people see the signs of Tibetan Mahayana Buddhist practice. This is very important. Excerpted from Kadampa Teachings, a new book freely distributed by Lama Yeshe Wisdom Archive. Kadampa Teachings is a dynamic collection of teachings inspired primarily by the histories of the Kadampa geshes and their spiritual advice. 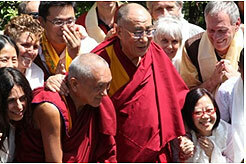 2010 Work a Day for Rinpoche campaign – a movement to support Rinpoche and his work year-round. In the meantime, you can join your fellow “co-workers” and follow the campaign’s developments on Facebook. We are pleased to inform you that since last June’s announcement, we have collected the necessary sum to build a Nagarjuna statue to support Rinpoche’s long life. A significant amount came from the long life puja offered by FPMT and Kopan Monastery at the end of the November 2009 course. Please join us in rejoicing in the kindness of the numerous benefactors who contributed to the fund and all those who joined in the prayers for Rinpoche’s long life. 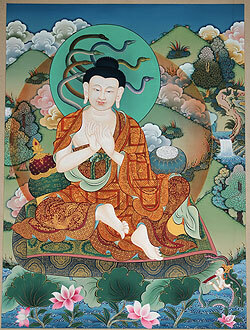 Online Learning Center: Currently, all 14 modules of Discovering Buddhism are online. Additionally, FPMT Education Services has made the third module of Living in the Path, “What Buddhists Believe,” available. This very juicy module introduces students to the fundamental principles that shape the Buddhist worldview. Students are taught about karma and the evolution of experience, the necessity of choosing patience over anger, and an introduction to the Buddhist view on ignorance and its antidote. Rooted in the transcripts and media recorded at Lama Zopa Rinpoche’s 2009 Light of the Path teachings, this module’s materials are engaging, pithy and filled with practical advice, including off-the-cushion contemplations for daily life. We are happy to announce that we are able offer all IMI Sangha free access to all programs on the Online Learning Center to support their practice and study. We also are able to offer one free module for each online program to the general public. Individual modules can purchased through the Foundation Store. Additionally, Friends of FPMT at the Dharma Supporter level enjoy the benefit of free access to all programs on the Online Learning Center. NEW! The Liberation Box: Tools for a Fortunate Rebirth. This collection of tools for the time of death has been assembled according to Lama Zopa Rinpoche’s advice, and contains powerful methods for ensuring a fortunate rebirth for those who have died or are in the process of dying. The box has everything you need to assist others at the time of death: Recitations to Alleviate Pain and Recitations for the Time of Death on CD; various mantras for recitation; the Liberation Card for a Dying Person; a Namgyälma mantra card; a Kadampa stupa filled with the four dharmakaya relic mantras; a powa pill and blessing cord to be placed on the dying person’s crown; copies of mantras; a copy of Shetor to be placed on the body, and the books, Heart Practices for Death and Dying and Heart Advice for Death and Dying. NEW! A Namgyälma protection amulet is now available. This amulet contains the long Namgyälma mantra and can be worn on the body for protection. COMING VERY SOON! The fabulous Discovering Buddhism DVD series that you all know so well will now have subtitles in English, French, Spanish and German. What has benefitted primarily English speakers, can now reach a much larger global audience. Special discounts will be offered to European centers ordering the DVD in bulk. I’d like to thank the following people without whom this very demanding project would never have been completed: Ralf Enders, Alexis Ben El Hadj, Ven. Nguenga, Elea Redel, Luis Portillo and, most importantly, Harald Weichart, whose perseverance and dedication got the job done. THANK YOU HARALD! COMING SOON: Initial Practice of Vajrayogini will be back in print and better than ever! Reviewed, reformatted and revised, the new edition will include chantable English for much of the long sadhana and more! A three-day Foundation Training was held at Land of Medicine Buddha during April. The manual used in Foundation Training, A Practical Guide of Skillful Means, is now available in Spanish. The Spanish Education Office is able to offer trainings in Spain – contact them today! Centers wishing to build a Kadampa Stupa modeled on the one at Swayambunath in Kathmandu, Nepal, may contact Don Brown. The use of computer-generated imaging in the construction means that details can be added accurately when Rinpoche gives further advice. retreatants for the full month, one-third of whom were Sangha. The first week was very much a week of preparation, with Rinpoche teaching extensively until the initiation was complete at the end of the first week. Then, Rinpoche mainly taught during the last session of the day. An expert from Sera Je Monastery, Ven. Phuntsok Palden, lead the sadhana sessions, and Ven. Sarah Thresher lead the prayers in English and coordinated the sessions. As well as teaching on the highest yoga tantra practice, we were given heart-moving teachings on guru devotion and the practice of prostrations to the 35 Buddhas. Rinpoche was very encouraging and praised the retreatants for the “pure motivation” and enthusiasm with which the prostrations were done. Thanks to the energetic staff and volunteers and the kind teachers who visit regularly, FPMT in Mexico draws an ever-increasing number of people to the study and practice of the Dharma. Following an inspiring 4-month visit by Ven. Lobsang Namgyel, students in Durango, Guadalajara, México City, Torreón and Veracruz became interested in having training in the 16 Guidelines. We nominated Laura Guerra to help with the coordination and preparatory training so that the groups can develop on a good foundation. All are very happy about that. In Durango, we have the stupa project. At the meeting between Ven Namgyel and the Governor of Durango, they discussed the significance and importance of building a stupa. 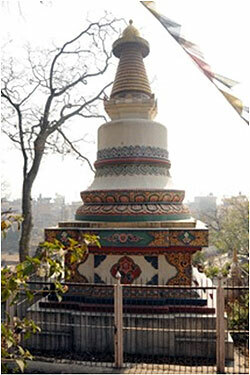 The idea is to put a stupa in an area already set aside as a park and to name that the ‘Peace Park’. When consulted, Lama Zopa Rinpoche suggested to build a 100 feet high Kalachakra stupa. We also have the hospice project. People from several places are very keen about that idea so they are looking very enthusiastically for suitable land. We think it would be good to have a legal association that standardizes the regulation, rules, and policies for the hospices far into the future and the name could be ‘Mexican Association of Hospices’. Obviously, that association would be sitting on a Buddhist foundation. We plan for those hospices to be projects of the FPMT, under the guidance of its policies. In Guadalajara, there is a senior student called Lucia. She is a composer and very inspired to create a piece for Lama Zopa Rinpoche. She wants to offer that music for the Maitreya Project. 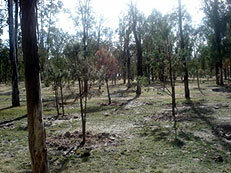 And at Khamlungpa Center too, we have seen significant changes. There were only two people giving almost all the classes, now we have more people helping the center! Root Institute for Wisdom Culture, Bodhgaya, India, is seeking a spiritual program coordinator, to arrange and oversee the winter program. This is a precious opportunity to work and live in the holiest of Buddhist places, and to offer service to Lama Zopa Rinpoche. A minimum two year commitment is preferred. Contact Ven. Thubten Labdron, or call +916312200548. Mahamudra Centre in New Zealand is looking for a spiritual program coordinator. A positive connection with, or at least sincere respect for Lama Zopa Rinpoche and the work and values of the FPMT is essential. This is a wonderful opportunity to combine practice, service and study in an extraordinarily beautiful environment with a small, friendly, dedicated team. Mahamudra Centre offers accommodation, food and stipend. If you would like to offer service and are sure that you can live contentedly in a somewhat isolated rural area, please contact Ven. Tenzin Nangsel (Bernice McCombie), Center Director. Closing date for applications: May 25, 2010.